The summer Michael Smolij turns sixteen, his father disappears. One by one other men also vanish from the blue-collar neighborhood outside Detroit where their fathers before them had lived, raised families, and, in a more promising era, worked. One man props open the door to his shoe store and leaves a note. "I'm going to the moon," it reads. "I took the cash." The wives drink, brawl, and sleep around, gradually settling down to make new lives and shaking off the belief in an American dream that, like their husbands, has proven to be a thing of the past. Unable to leave the neighborhood their fathers abandoned, Michael and his friends stumble through their twenties until the restlessness of the fathers blooms in them, threatening to carry them away. 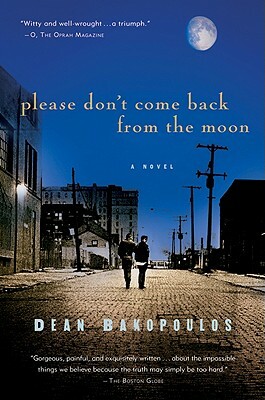 This is a haunting, unforgettable novel for anyone who has ever been left longing.